The guys from Kingdom Billiard did a great job setting us up with the perfect pool table for us. We have a large great room setup upstairs in our cabin in Truckee. Instead of filling it with extra living room furniture – boring – we thought it would be fun to have a pool table there but wanted the option to turn it into a dining room table when we had a big crowd over. Josh knew just what we needed and set us up with a beautiful piece of furniture/art/pool table that doubles as a BIG dining room table when the need arises – like when we got married at the cabin in January! 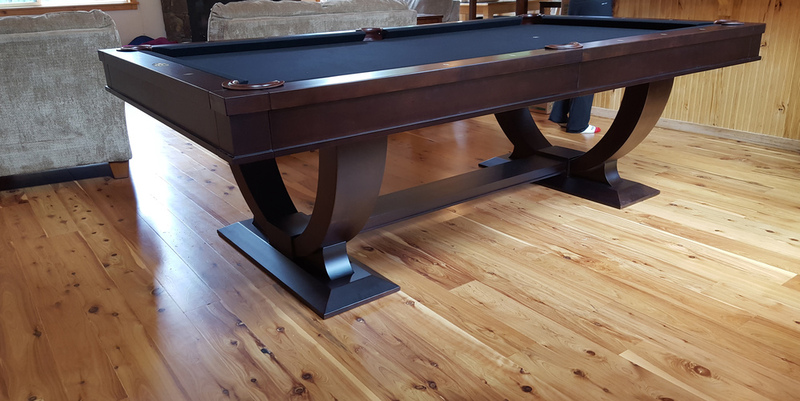 It’s been a lot of fun having the pool table right up where spend our time – the installation was professional – fast and perfectly done.